Co-Inventor Of The Bar Code, Norman Woodland, Has Died Age 91 - kaycee Weezy! 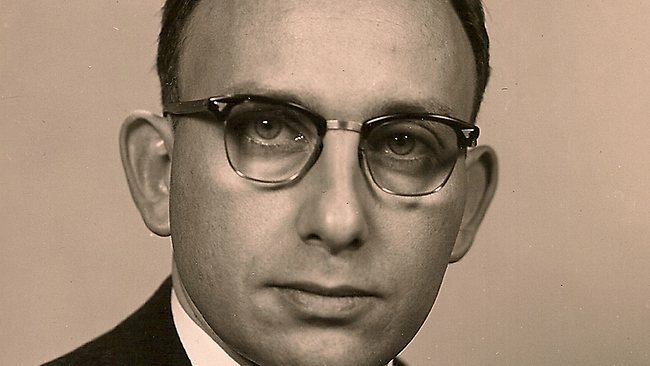 Norman Joseph Woodland, the co-inventor of the bar code that labels nearly every product in stores and has boosted productivity in almost every sector of commerce world-wide, has died. He was 91. Mr Woodland died Sunday in Edgewater, New Jersey, from the effects of Alzheimer's disease and complications of his advanced age, his daughter, Susan Woodland of New York, said. Mr Woodland and Bernard Silver were students at what is now called Drexel University in Philadelphia when Mr Silver overheard a grocery-store executive asking an engineering-school dean to channel students into research on how product information could be captured at checkout, Susan Woodland said. The only code Mr Woodland knew was the Morse Code he had learned in the Boy Scouts, his daughter said. One day, he drew Morse dots and dashes as he sat on the beach and absent-mindedly left his fingers in the sand where they traced a series of parallel lines. "It was a moment of inspiration. He said, 'instead of dots and dashes I can have thick and thin bars," Susan Woodland said. Messrs Woodland and Silver submitted their patent in 1949 for a code patterned on concentric circles that looked like a bull's eye. The patent was issued in 1952, 60 years ago this fall. Mr Silver died in 1963. Mr Woodland joined IBM in 1951 hoping to develop the bar code, but the technology wasn't accepted for more than two decades until lasers made it possible to read the code readily, the technology company said. In the early 1970s, Mr Woodland moved to Raleigh to join a team at IBM's Research Triangle Park, North Carolina, facility. The team developed a bar-code-reading laser scanner system in response to demand from grocers' desires to automate and speed checkout while also cutting handling and inventory-management costs. IBM promoted a rectangular bar code that led to a standard for universal-product-code technology. 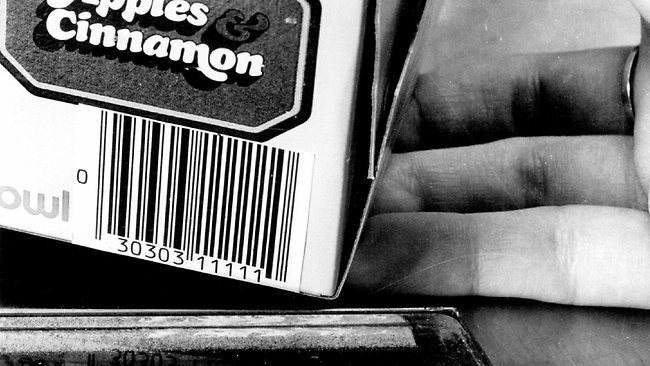 The first product sold using a UPC scan was a 67-cent package of Wrigley's chewing gum at a supermarket in Troy, Ohio, in June 1974, according to GS1 US, the American affiliate of the global standard-setting UPC body.Today, about five billion products are scanned and tracked world-wide every day, including sale items, airline boarding passes, military equipment, hospital patients, livestock and highway-toll customers, GS1 US says.